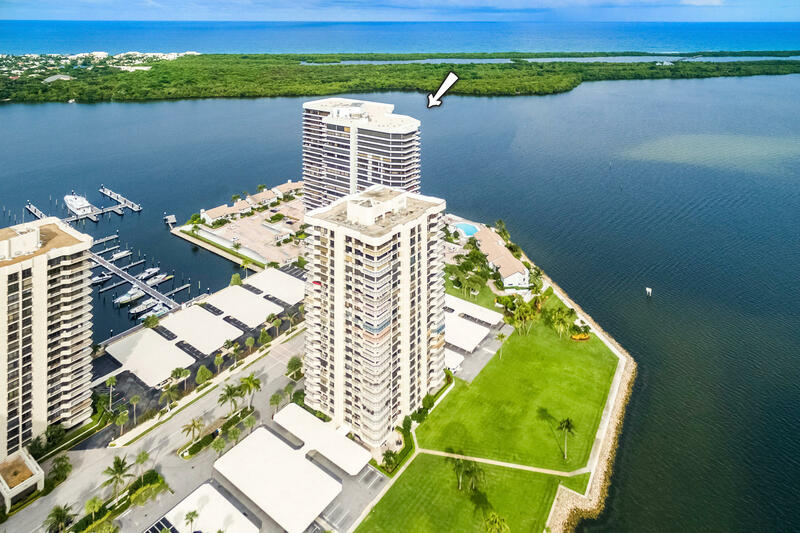 Breathtaking ocean, Intracoastal, marina, and golf views surround you from every direction of this 21st floor premium open-plan condo with an incredible over-sized wrap-around patio deck. Desirable features include massive wall-to-wall and floor-to-ceiling sliding glass doors, marble floors throughout the main living area, crown molding, Subzero and Bosch appliances in the kitchen, and high-end Berber carpet and built-in closets in the bedrooms. The community has covered parking, a swimming pool, a marina on sixty acres, and 2 miles of walking paths. North Palm Beach Country Club is right across the way with tennis courts, a Jack Nicklaus-designed golf course, and a new $15 million clubhouse. Waterfront: Intracoastal, Lake, Marina, No Fixed Bridges, Ocean Access Yes Intracoastal Ft.